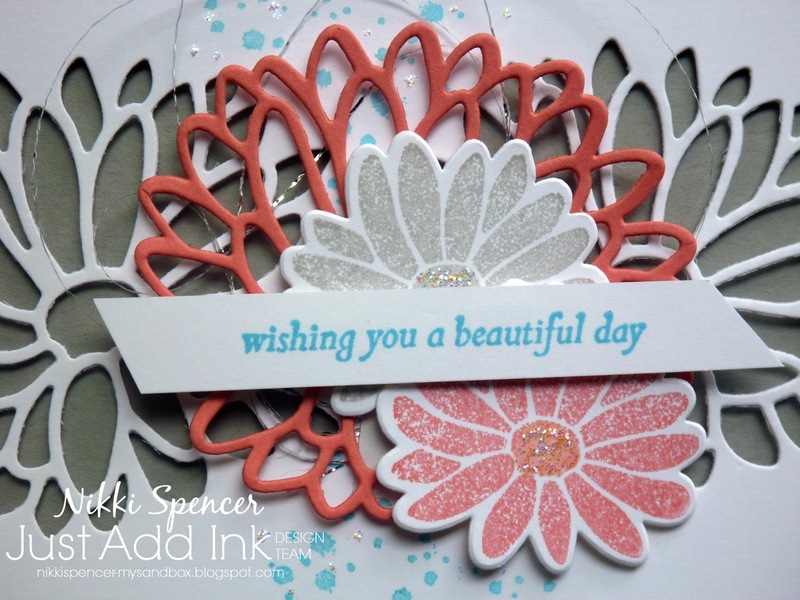 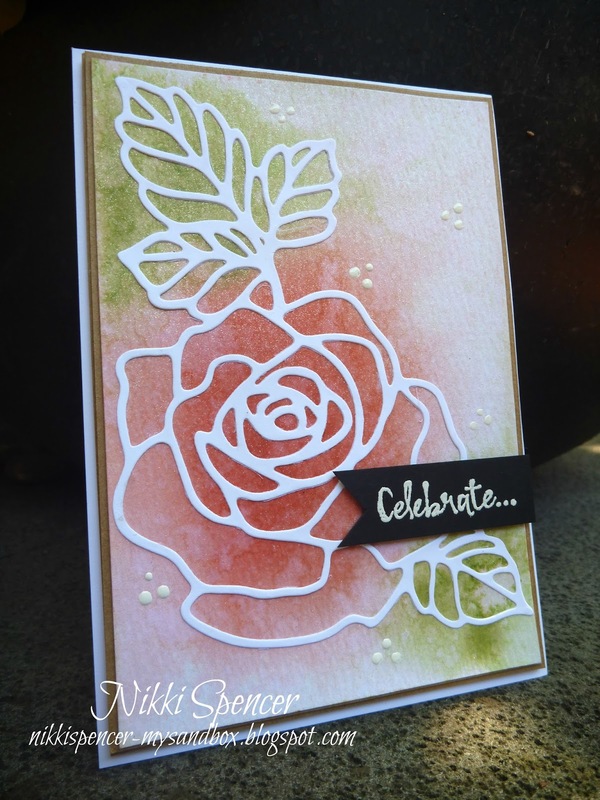 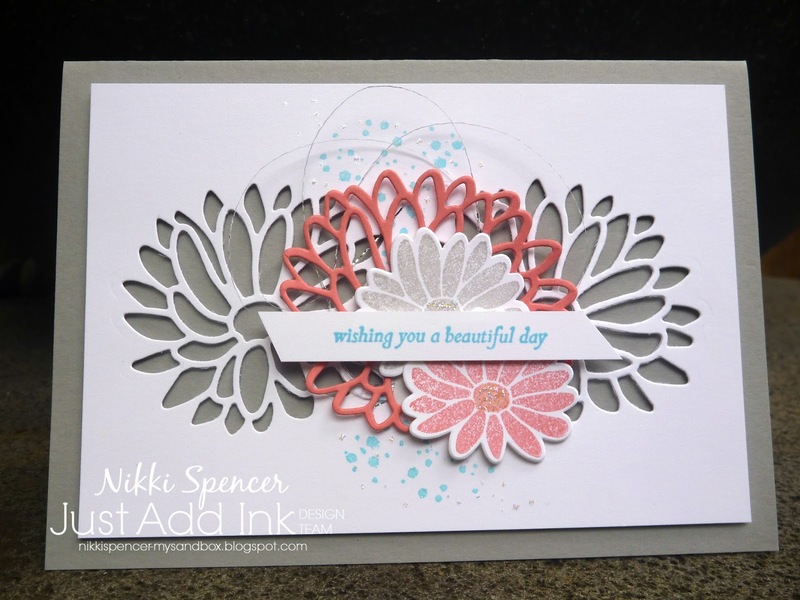 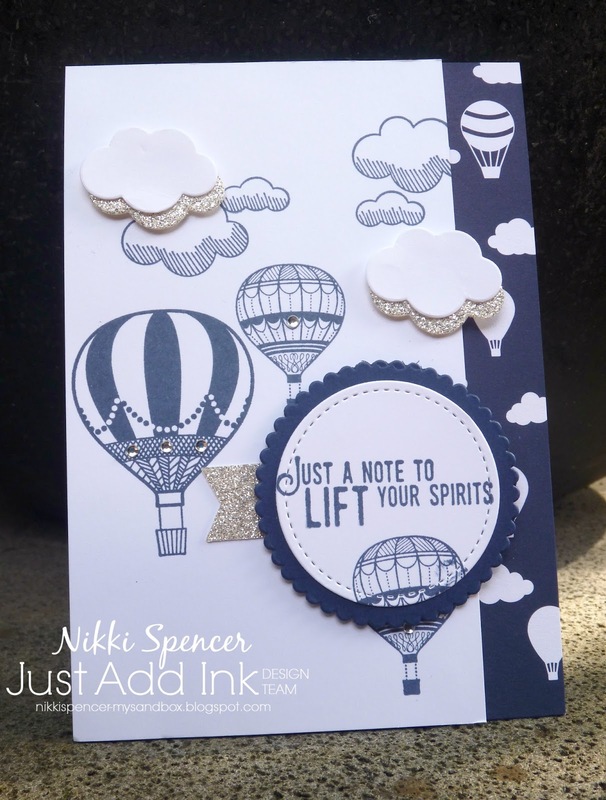 Karren has given us a fun new challenge over at Just Add Ink. 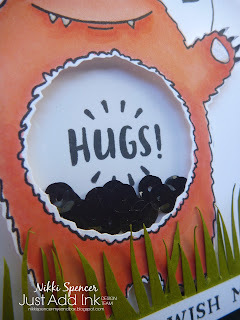 She wants us to "Just Add Critters"....So many fun options for this one. 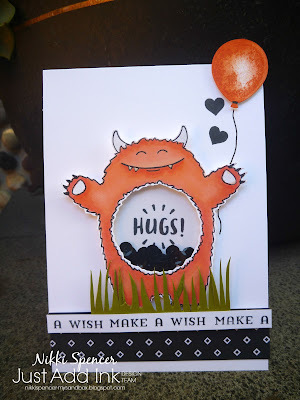 I wasn't 100% sure if this cutie qualified as a "Critter", but according to Mr Google, l have been assured that he works just fine! 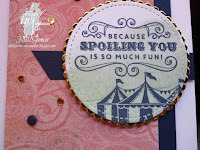 He is part of the "Yummy in my Tummy" stamp set from stampin Up! and was a must have from the occasions catalogue...He just makes me smile and was fun to colour! 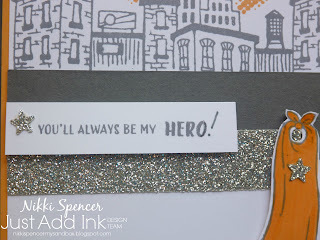 I pulled out my much neglected Copic markers and although a bit rusty, he came up rather cute l think and l couldn't resist making him a shaker and filling his tummy with sequins...I did struggle with having the right colour sequence in Copics so had to mix & blend tip to tip....It is definitely time to invest in a few more me thinks, as l forgot just how much l love using them. 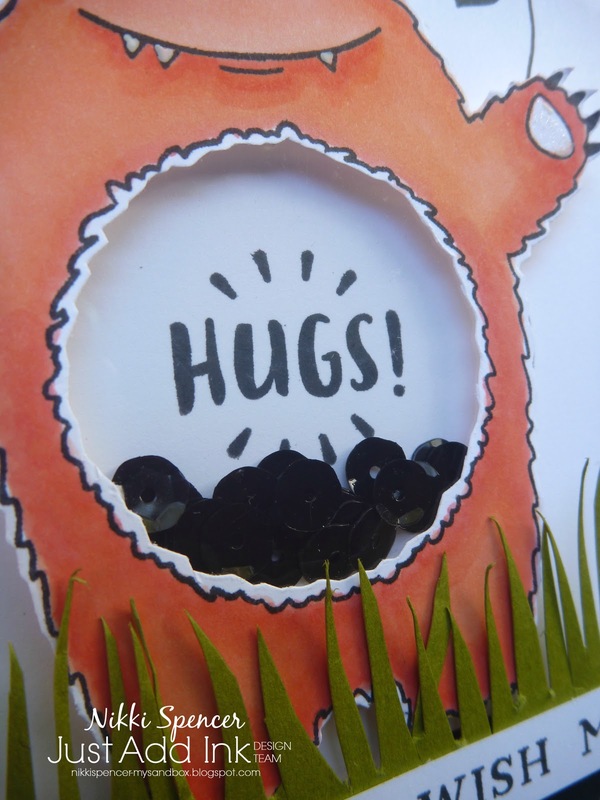 The rest of the design team have created some fun and fabulous Critter creations, so don't forget to pop over to the challenge blog and check them out. 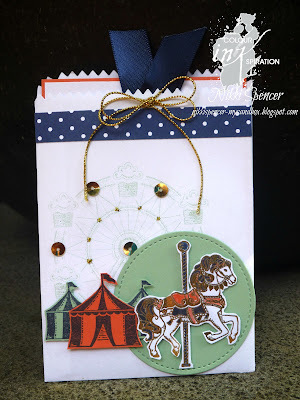 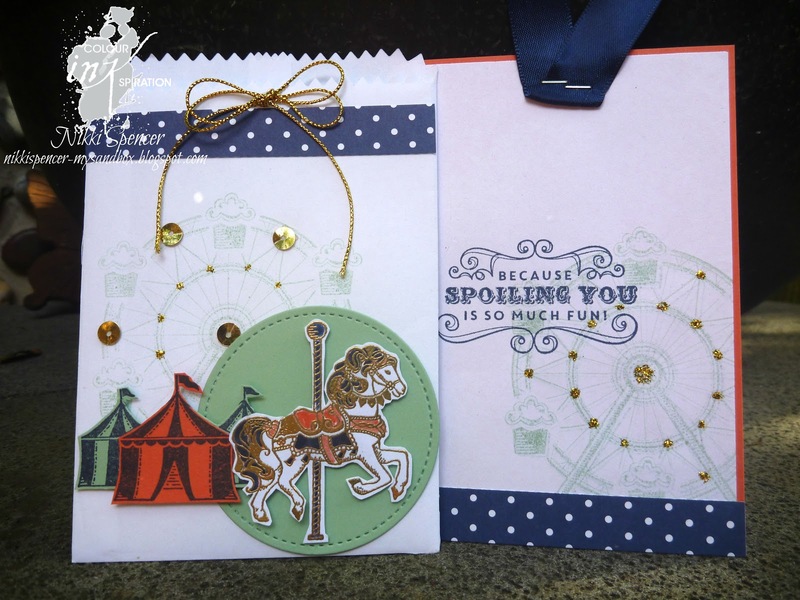 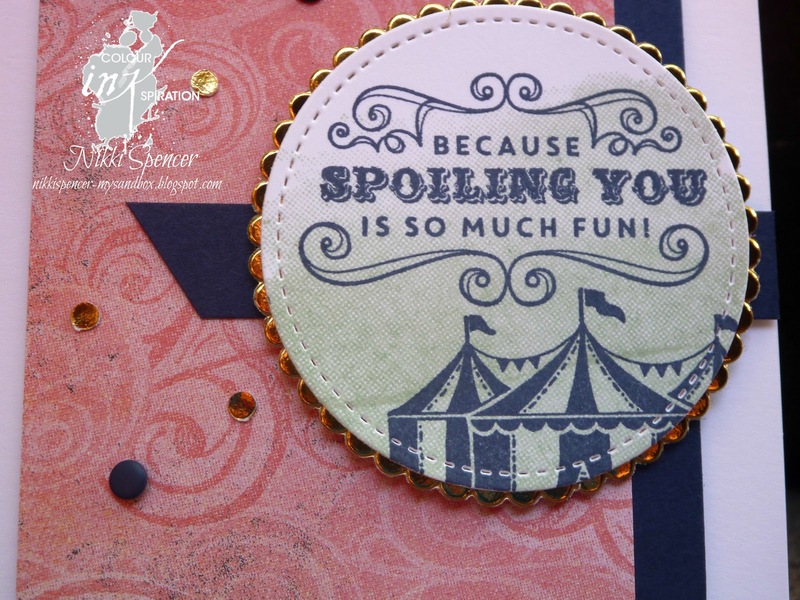 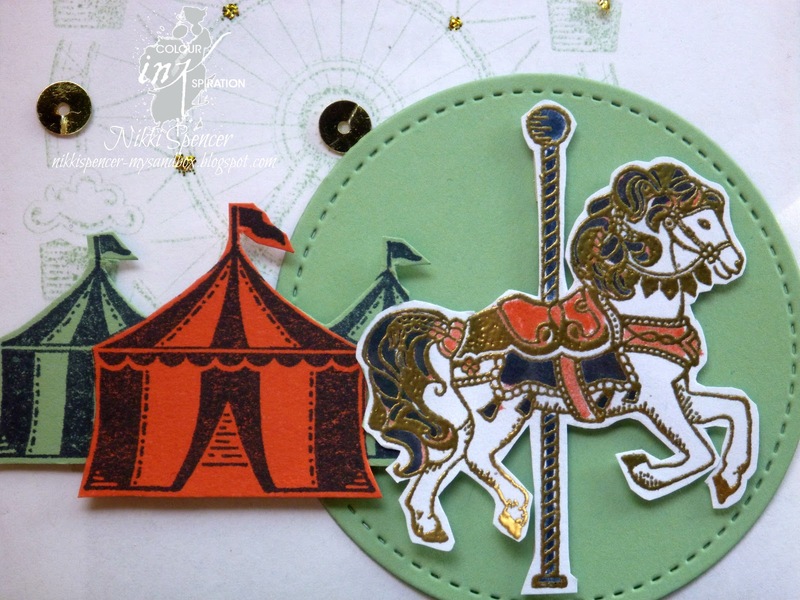 Both use the Birthday Carousel stamp set, the first features the cute "Cupcakes & Carousels" dsp stack and the second uses the Mini Treat Bag Thinlits. 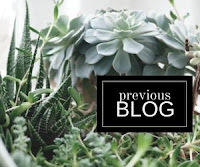 Heaps of awesome projects from the crew, so you can see them all by clicking the next button below and following the hop. 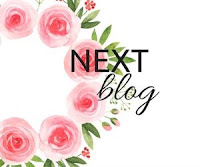 We would love you to join in and share your projects, so click the banner above to pop over to the Facebook page and join us. Stamp Review Crew...Oh So Succulent! 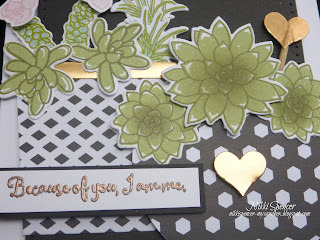 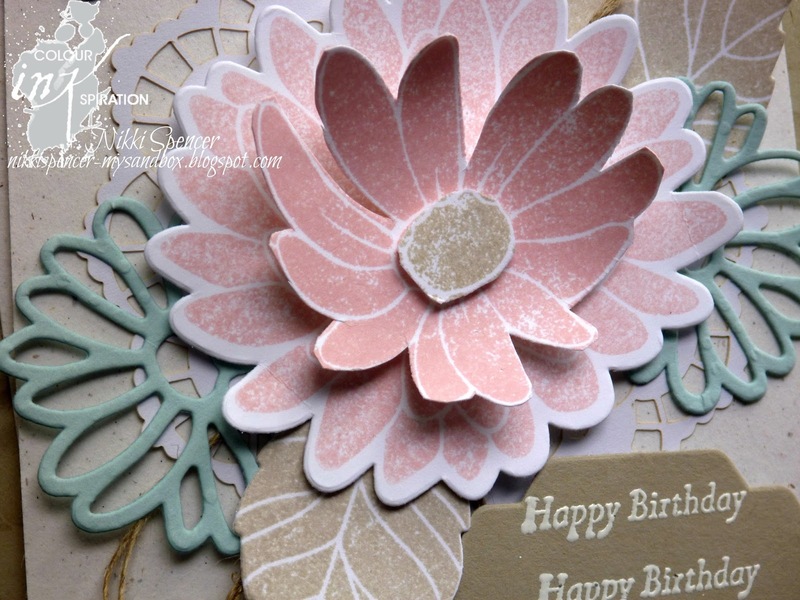 We have a fun hop happening at the Stamp Review Crew and for this one it's all about the "Oh So Succulent" stamp set and thinlits. 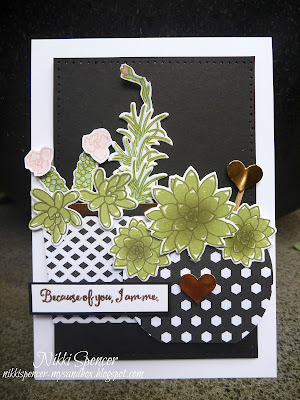 I've gone rather dramatic with black, white & copper and created a "Mothers Day" card. 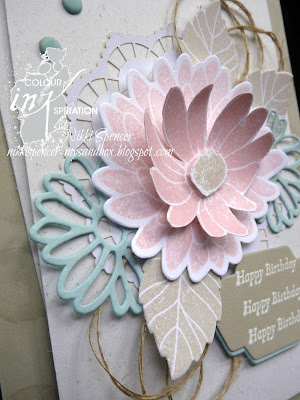 I love the versatility of this set and the oh so cute elements. 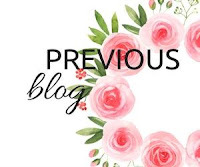 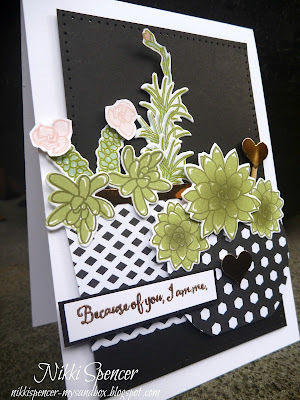 You may have just arrived from the blog of the talented Bronwyn Eastley and her no doubt inspiring "Oh so Succulent" project. 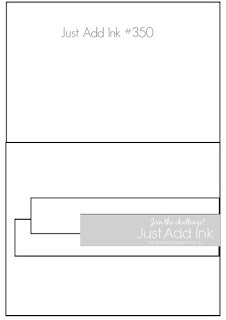 But if you have just popped up here, you can click the next banner to continue on the hop or the SRC banner above to start at the top. 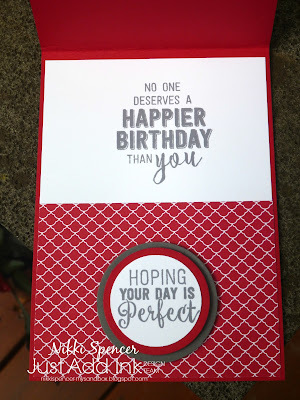 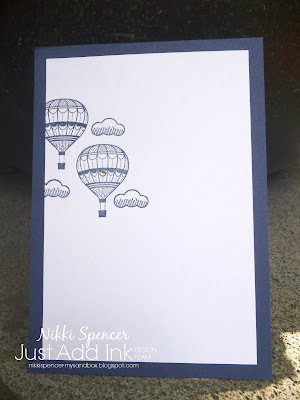 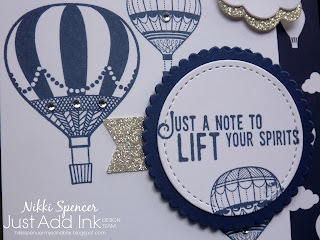 Now you are off to be inspired by the talents of Betty Traciak "HAPPY HOPPING"
Just Add Ink #351...Just Add "L"
It's time for another fun challenge over at Just Add Ink. This week want you to just add "L" elements to your projects. 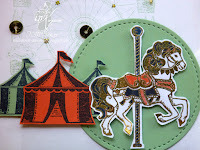 This was lots of fun and l actually created two "L" projects. 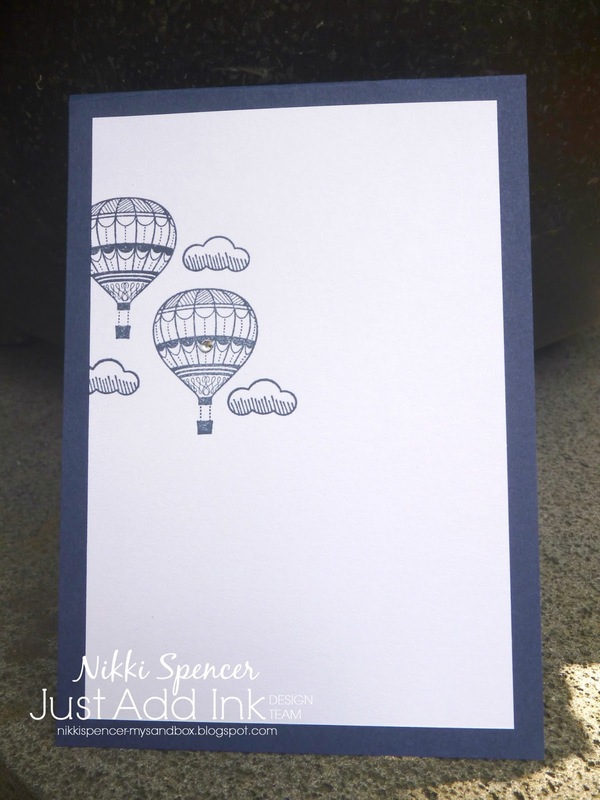 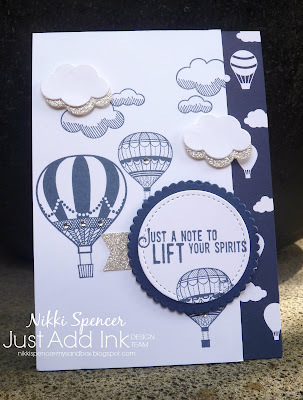 The first being "Lift your spirits" theme using the Lift me Up bundle and l've added some silver glimmer paper to the clouds as a silver lining. 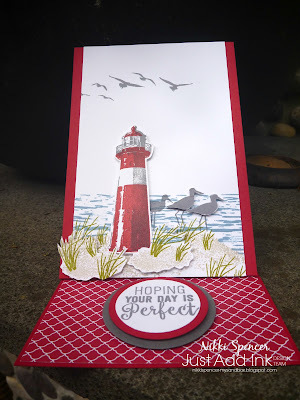 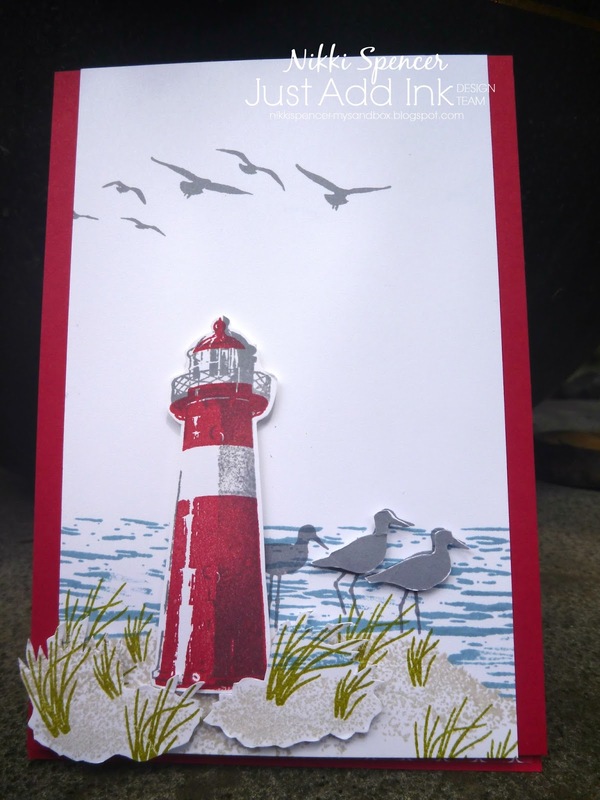 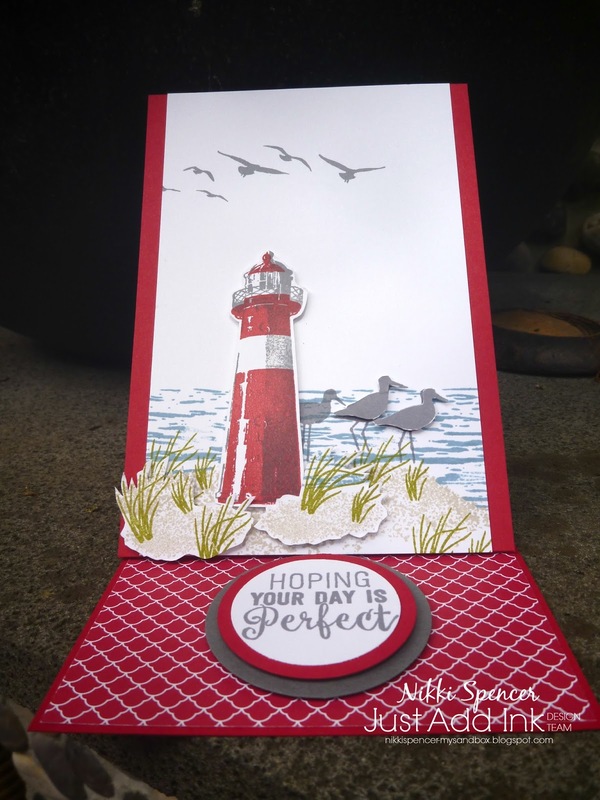 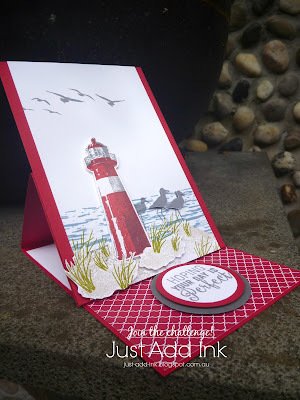 And for my second project, l've created an easel card using the High Tide stamp set and featured the "Lighthouse" as my "L" element. 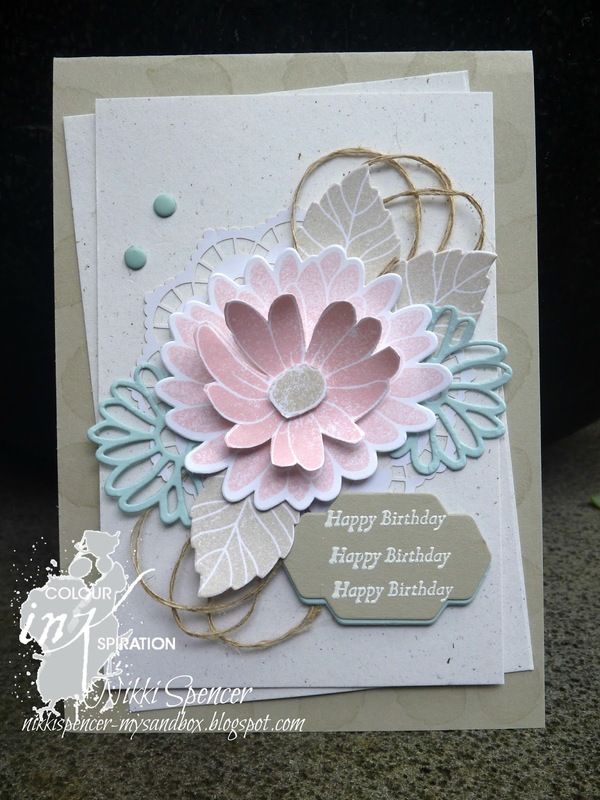 The design team have created some great projects featuring a variety of "L" elements, so pop over to the challenge blog and check them out. 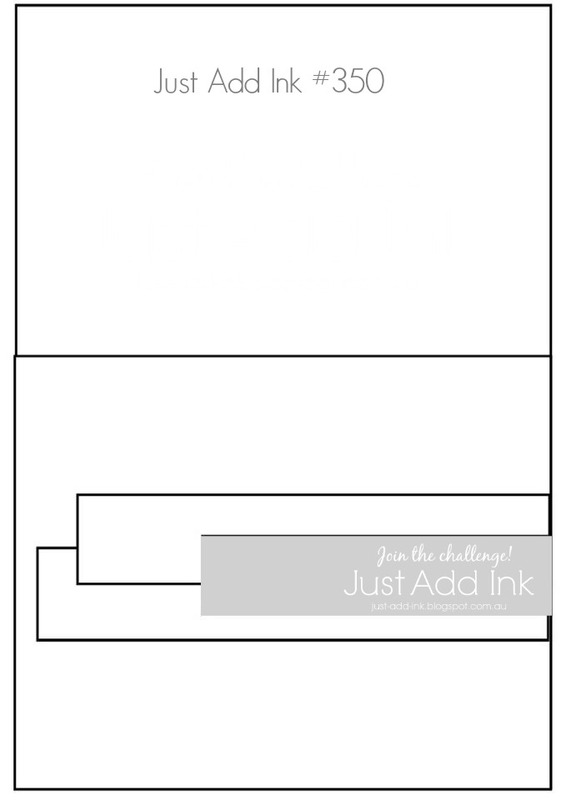 We have a new challenge happening over at Just add Ink. 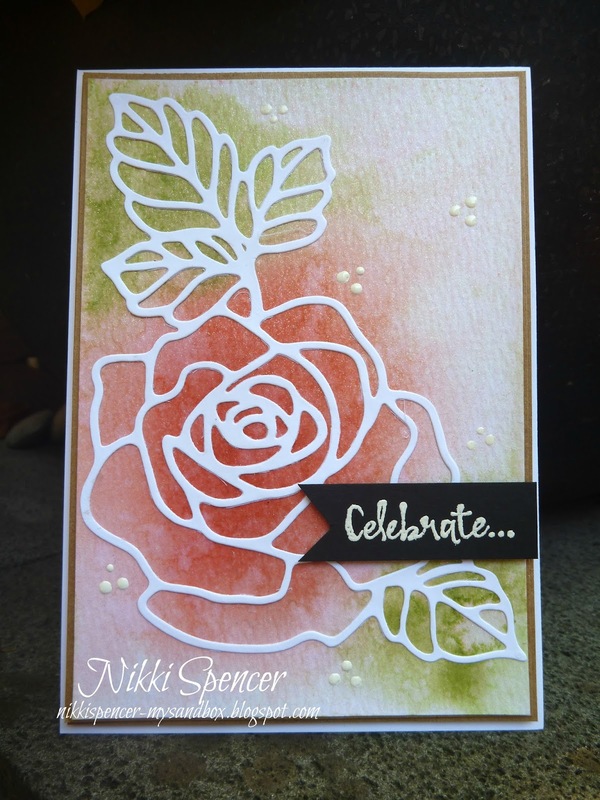 This week Chantell has given us a nice clean sketch to play with. 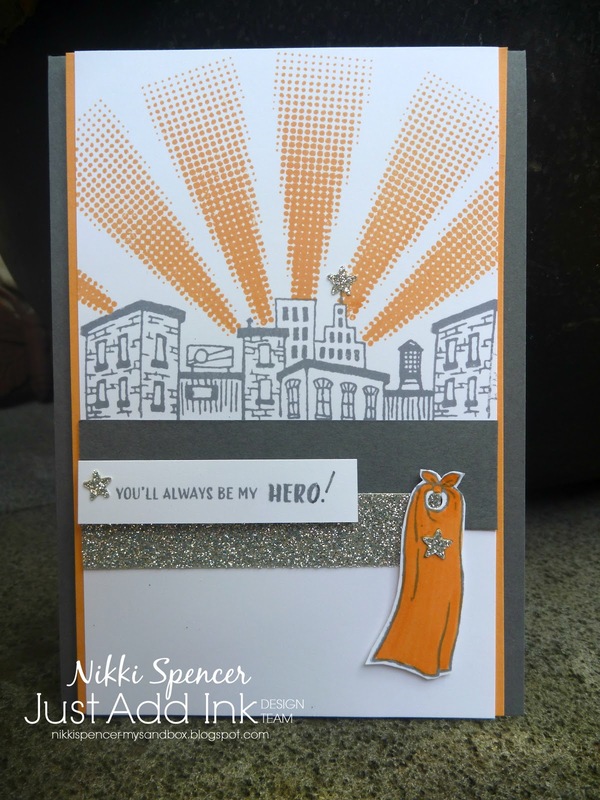 As it's my dads birthday soon or even for his fathers day, l have created a card using the "Everyday Hero" stamp set and l think the greeting is just perfect...You're never to old for a hero. 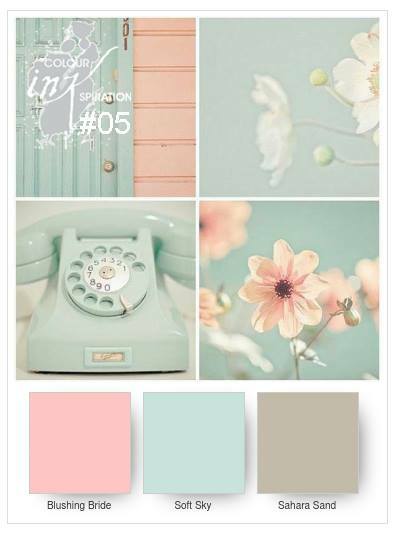 The colours are Peekaboo Peach & Basic Grey, with just a hint of the silver glimmer to give it some shine. 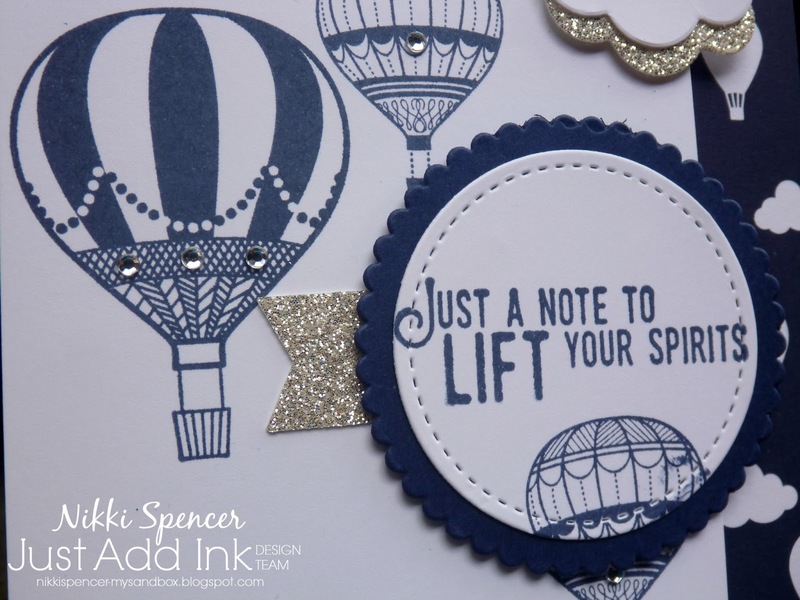 The design team have some great ideas using the sketch, so if you are needing a little inspiration to give you a kick start, pop over and check out the challenge blog. 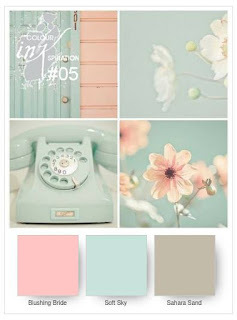 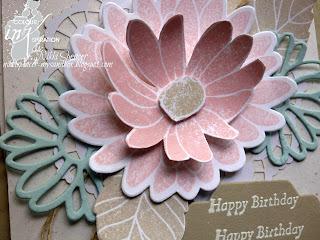 It's hop time again over at Colour INKspiration and this week we have some pretty pastels to play with! 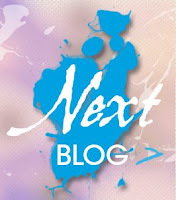 So much fab inspiration from the design team, so click the banner above and go take a peek and join us if you can. 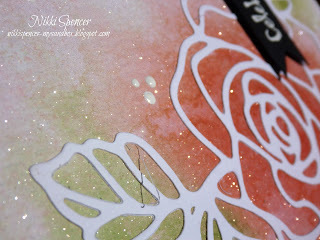 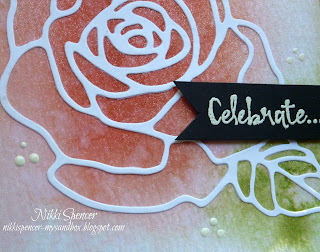 I had been itching to ink up the lovely "Special Reason" set and these colours were just perfect. 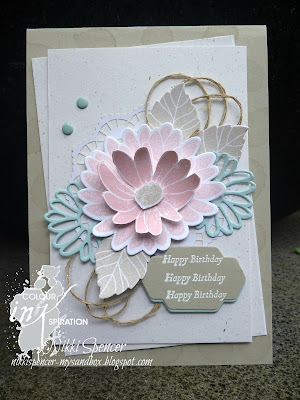 Lot's of layers and texture on this one, not something l normally do, but l felt this set and the colours needed some texture and depth...Pretty happy with the overall effect! 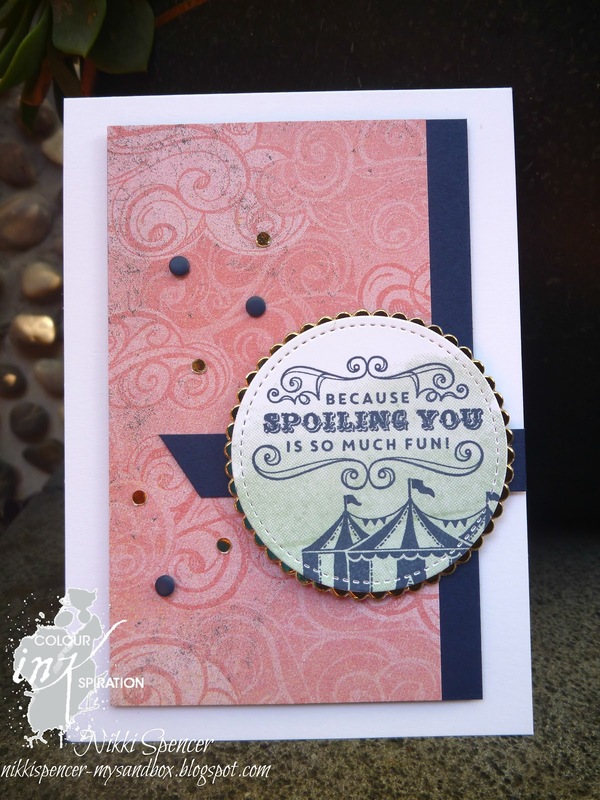 Next on the hop is Rachel and her ever so cute project!